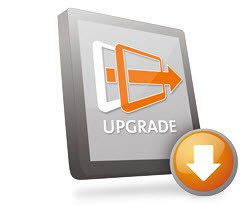 An upgrade is a change from one edition of Cerberus to the next (Professional to Enterprise, for example). Cerberus has a very generous upgrade policy. We'll apply the FULL value paid for your existing license toward the desired upgrade. Example: if you paid $599 for a Professional edition earlier this year and decide you need the Enterprise edition, we'll apply the full $599 towards the cost of the $1,499 Enterprise edition. $1,499 - $599 (already paid) = $900. Your cost to upgrade to Enterprise is $900 and (like all new license purchases) the first year service agreement is included. Request an upgrade quote today!